﻿ History|Xishi Group Development Co., Ltd.
Xishi was awarded “Nanan Market Quality Award” as the first enterprise winning this honorary title in Nan’an Stone Industry. Xishi integrated headquarter office buiding was using, Stone design test hall was build. Xishi was awarded the Most Valuable Brand Enterprise during the “11th Five-Year Plan” and participated in compiling 18 sets of various national, industrial and local standards. Invest Beijing Xishi Stone industrial park. ERP online，move to more developing. Xishi Russian Moscow office was found. Xishi was awarded National High-tech Enterprise. Xishi new Exibition center was finished. The Stone and Decoration Integrated Global Strategy was launched. Xishi Dubai office was found. the first Office of Management Practice, Applied Technology and Specification for National Stone Standardization Technical Committee was set up in Xishi, which could directly draft, modify and lead all national stone standards. Xishi Group headquarter move to Shuitou factory. Fujian Xishi Constructional Engineering Co., Ltd. was awarded “Class-A Design and Construction of Building Curtain Wall Projects Contractor” and “Class-A Design and Construction of Architectural Decoration Projects". Xishi has certificate of High Techinical Enterprise. Invest Joint Venture Company:Guangdong Fuyun stone Co.,Ltd. Invest Nanan Longcheng Real Estate development Co.,Ltd. China Shuitou Factory was building，Fujian Xishi Co.,Ltd. Was found. “XISHI” was awarded “China Famous Trademark” by the State Administration of Industry and Commerce, and it was the first enterprise winning this award in the stone industry. Invest Wuxi Wanjian real estate Co.,Ltd. “XISHI” was identified as Fujian Famous Trademark. Xishi "Projects Technical Center" was found. It focus on Projects Auto CAD Drawings. Xishi passed the certifications of ISO9001 international quality management system and UKAS international double standards. Xishi successfully finished the project of the Great Hall of the People, and won the honorary plaque of “High-Quality Products and High-Quality Services” authorized by the Administration Bureau of the Great Hall of the People. 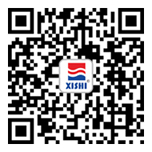 Fujian Xishi Constructional Engineering Co., Ltd. was founded. Xishi Shanghai Branch Co.,Ltd. was founded. Establish Fujian Xishi Group Development Co., Ltd.